This week we welcome Tom White to the NCN community. Tom is a freelance photographer who lives in New Jersey and hails from Bradford, West Yorkshire in the north of England. 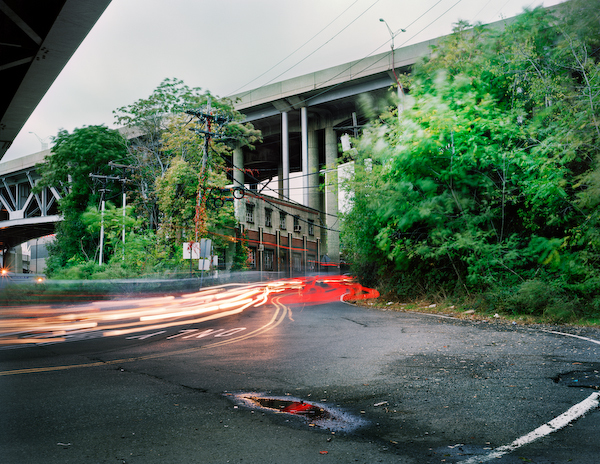 Tom has studied Fine Art at Goldsmiths College in London and and photojournalism and documentary photography at the International Center of Photography in New York. His travels have taken him throughout Europe, as well as the Far East, Brazil, and India, and his work has been published in the U.S. and U.K. and exhibited in both places as well as in Japan. The photo-essay below is from a series on the reciprocal nature of people and their environment, focusing on the way people shape the landscape, which in turn shapes the people. We offer the images initially without commentary, but include White’s captions at the very end. 1. 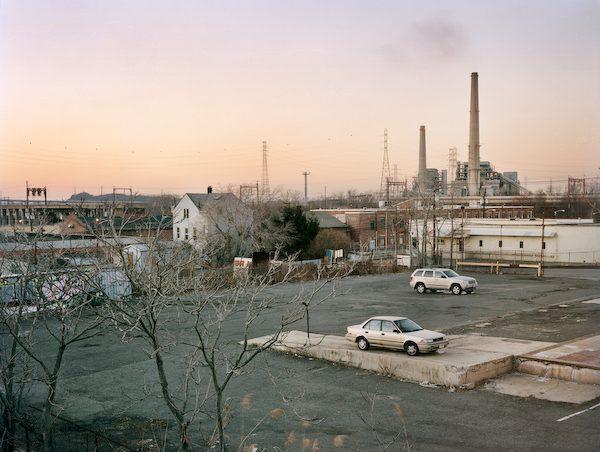 A coal fired power plant in NJ looms over an area which was once a small rural township. 2. 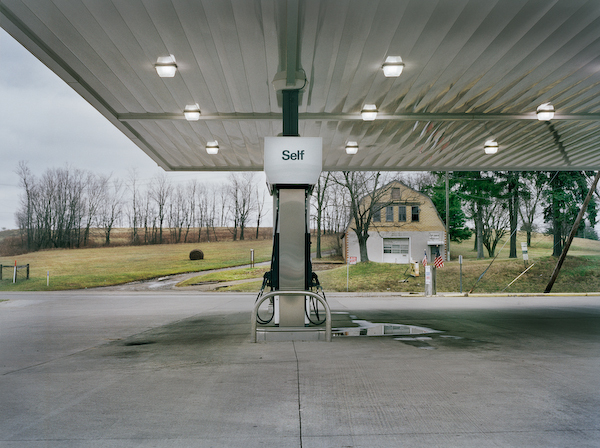 A gas station forecourt on I-78 in PA stands empty amongst the vestiges of the surrounding countryscape. 3. 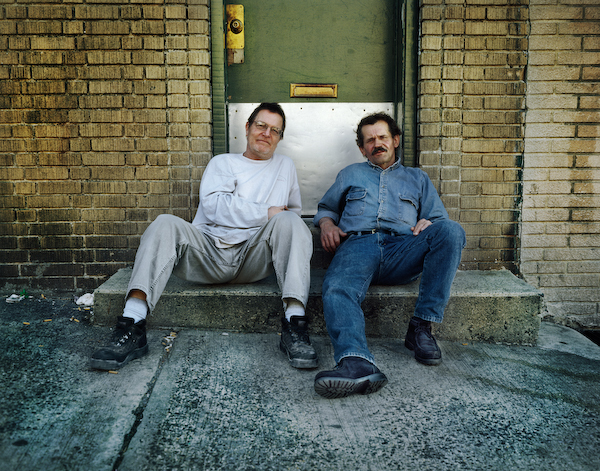 Bobby and Richie relax on a step outside a bar just off the Tonelle Avenue 1&9 truck route in NJ. 4. Half Latino, half Chinese, “Chino Chan” stands at Whitlock Ave. Station in the South Bronx, a densely populated and heavily industrialized region. 5. A heavily trafficked area near the entrance to the Lincoln Tunnel from NJ to NYC. 6. 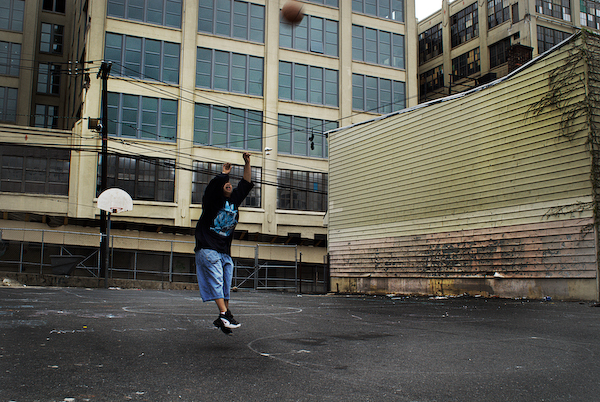 A boy plays basketball surrounded by derelict warehouses scheduled to become luxury condos in Jersey City. 7. 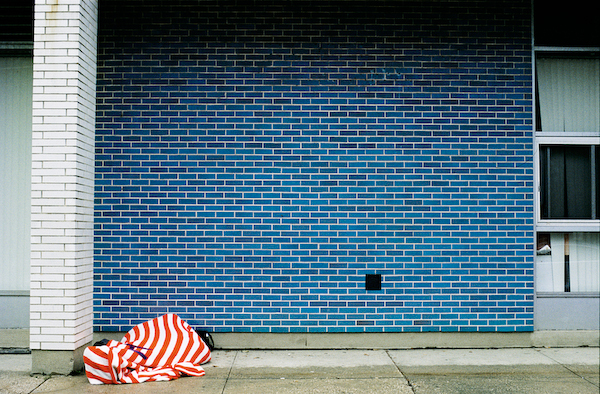 Homeless man Randy Vargas sleeps in front of a church affiliated community center in Hoboken, NJ. 8. 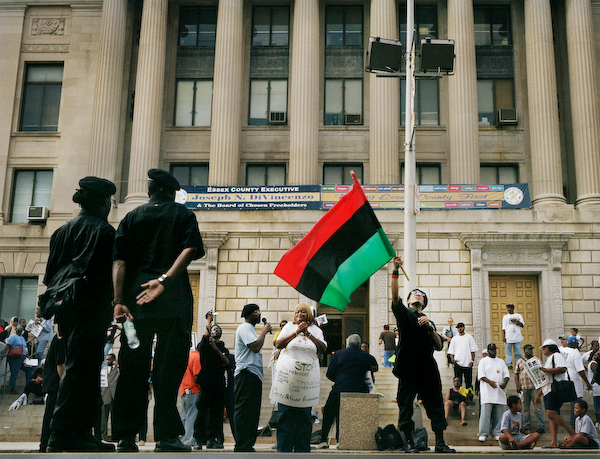 Members of the New Black Panther Party – a group unrelated to the original Black Panthers – stage a demonstration against street violence in Newark, NJ. 9. 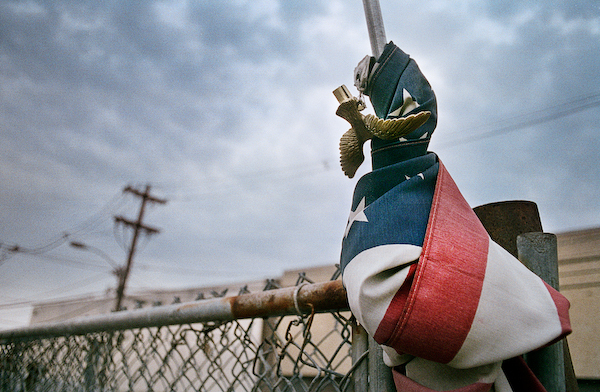 A knotted flag on the gatepost of an industrial estate in NJ. These are very powerful images. Thank you.